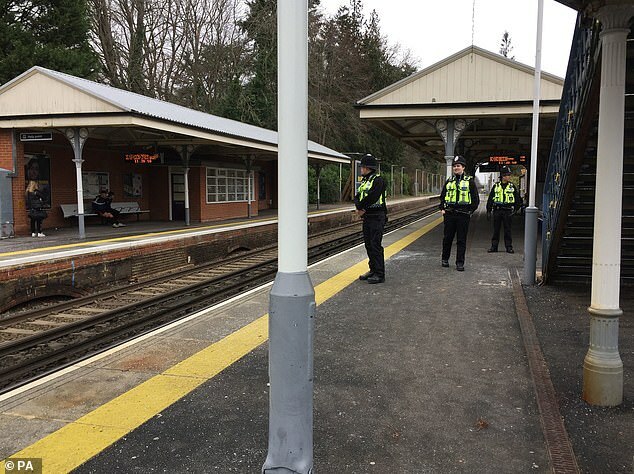 Police were called to the home of the man suspected of the Surrey train murder less than 24 hours before the appalling attack. Officers confronted the 35-year-old outside his home after neighbours complained about his antisocial behaviour. Detectives last night charged a man with murder. Darren Pencille, from Farnham, Surrey, was also charged with possession of an offensive weapon and is due in court today. One resident claimed that the night before, the ‘scary-looking fellow’ had banged repeatedly on his front door. 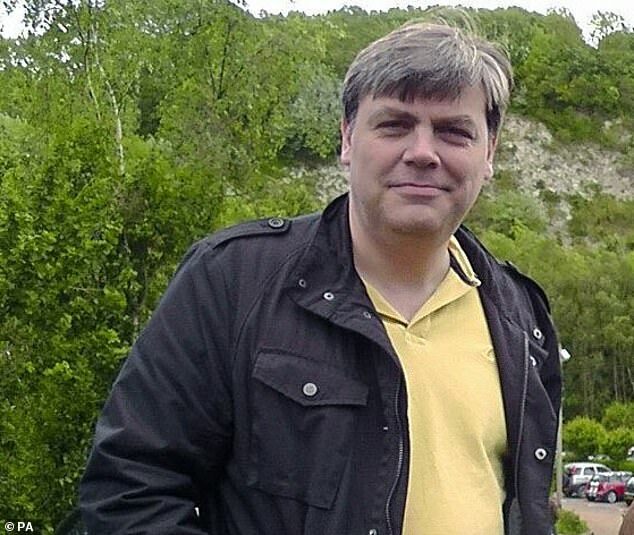 Lee Pomeroy, 51, an IT consultant, died in front of his 14-year-old son after being stabbed on the South Western Rail service from Guildford to London Waterloo. Witnesses said he suffered multiple wounds after a frenzied attack following a three-minute argument. His grieving family are struggling to come to terms with his death, which came just one day before his 52nd birthday. Last night it emerged his Russian widow had told friends she moved to the UK because she admired how ‘civilised’ it was. Former journalist Svetlana Pomeroy, 50, who is being supported by police family liaison officers, was too upset to speak yesterday. The couple married in 2001 and Mrs Pomeroy moved to the UK from the remote Russian region of Chukotka. 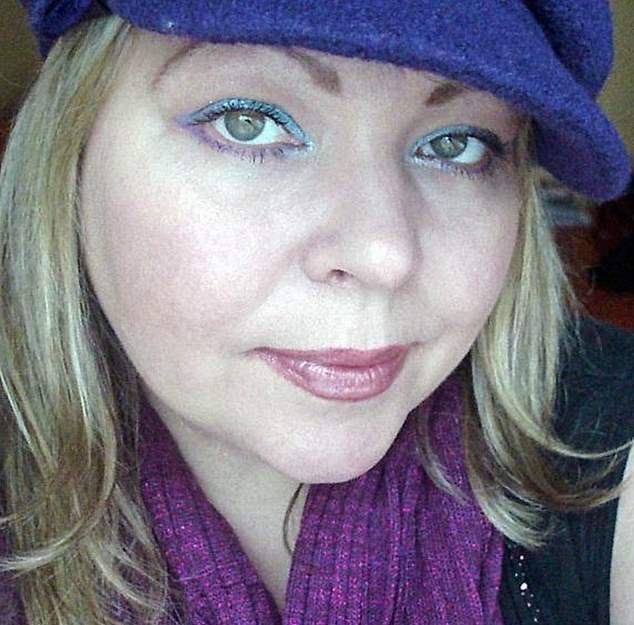 In her post, she described their son – then a toddler – as a ‘sweet boy’. Police arrested the suspect at a housing association flat occupied by his girlfriend Chelsea Mitchell in Farnham on Saturday morning. Mitchell, who is originally from Weston-super-Mare, Somerset, was arrested on suspicion of assisting an offender. Officers suspect she picked him up and drove him the 15-mile journey home after he fled the commuter train service covered in blood shortly after 1pm on Friday. Mr Pomeroy was attacked minutes after both men boarded at London Road station in Guildford. The suspect is said to have fled the carriage at Clandon, the next stop on the route. 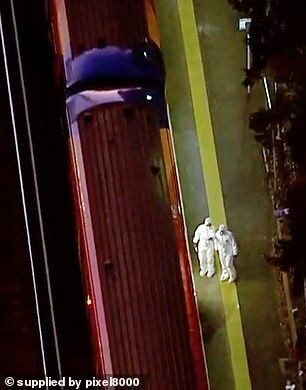 Police were alerted to the stabbing at Horsley, the following stop. Investigators do not know exactly what caused the row between the two men but believe it could be as petty as bumping into each other. Villagers later said they saw a man wandering in fields while using his mobile phone. He had been described by police as bald, 5ft 9in and wearing a black tracksuit. 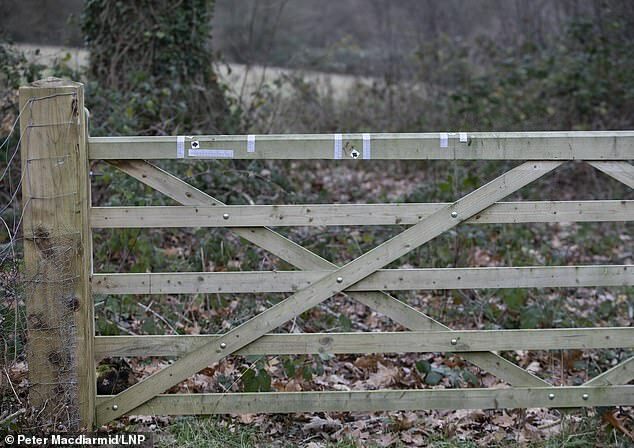 Bloody handprints were left on a wooden gate and a police sniffer dog was used to try to trace him after he abandoned his jacket nearby. It is understood investigators used a combination of ticket details, mobile phone records and CCTV from the station and nearby streets to identify him. Outside Mitchell’s home yesterday, neighbour Grant Christy described how police stormed inside at around 6am.He said the arrest followed an ugly confrontation on Thursday night in which the suspected killer had banged on his front door. Mr Christy said: ‘I told police he had previously started banging on my door and then, at around 9.15pm on Thursday, he started doing it again. ‘My wife looked through the keyhole and it was him again. My next-door neighbours have been driven out by all the drama. ‘They only moved in in the summer and they have managed to upset everyone. There’s always a spat about her parking in other people’s spots. Other neighbours said the couple were often noisy and kept their curtains shut almost constantly. In a statement released via police, Mr Pomeroy’s family said: ‘Lee took his son on a trip to London hoping to spend some quality time with him which was cut short by an horrific and pointless attack. ‘It has emerged that in the moments leading up to the violent killing, both men appeared to be involved in an altercation lasting three minutes. ‘Lee would have had his birthday today but did not get to see his presents. He was an honest, bright person, who loved music very much. Pencille will appear at Staines Magistrates’ Court today.